Allergic contact dermatitis (ACD) used to be considered a rarity in children, but recently has been estimated to effect 4.4 million children in the USA alone, with a notable rise in investigative research in the field of pediatric ACD. 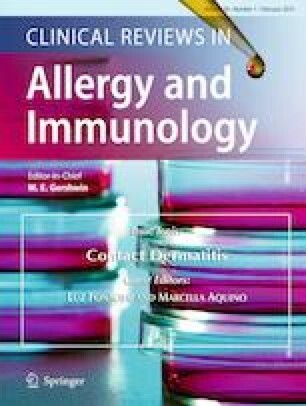 Researchers have shown that patch testing is safe and effective in afflicted children and that those with atopic dermatitis (AD) have similar sensitization rates, although they have a higher sensitization to certain allergens, thought to be related to the inflammatory (IL-4) milieu. Patch testing assessment guidelines in children include five key considerations: if a patient’s dermatitis worsens, changes distribution, fails to improve with topical therapy, or immediately rebounds after removal of topical treatments; if a patient has a particular distribution of dermatitis; if a working patient has hand eczema that fails to improve with therapy; if the patient has AD that started in adolescence or adulthood with definitely no history of childhood eczema; and importantly, if a patient has severe or widespread atopic dermatitis that will require immunosuppressive systemic medication.